Richline Textiles has over 20 years experience working for big brands like Walmart, Target, Gap, JCPenney and Macys. Richline Textiles Inc. is a full service textile company, with over 60 circular knitting machines located at its 120,000 square feet Pico Rivera Plant. With its 24 hour plant operation, Richline is able to meet the hectic domestic demands of the textile industry. Proudly Made in the USA fabrics. To complement its domestic capabilities, Richline Textiles Inc. imports high quality fabric worldwide that pass stringent quality standards of Walmart, Target, JcPenney, Gap and Macys. Our fabric are tested by accredited testing companies like Bureau Veritas and SGS Testing. 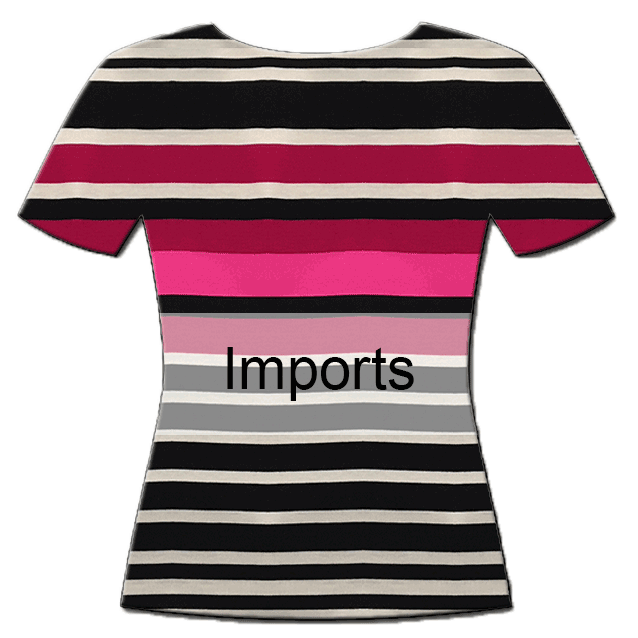 We can ship from overseas to any country in the world where a customer has their garment manufacturer. The company prides itself with high quality fabric that starts from the ability of the company to source high quality yarn from all over the world to meet the competitive pricing demand of its customers. Depending on its customer's requirement, Richline Textiles Inc. can knit with CBI, Nafta or imported yarn. From combed cotton, to organic, from poly rayon to rayon, from polyester to nylon, Richline sources only from reputable yarn suppliers. Some of its product line are basic knits such as baby rib, 2x1 rib, jersey with and without spandex, pointelle, ponte de roma, thermal, pucker, hacci, ottoman and slinky to name a few. Name a stitch in knits and Richline can do it! 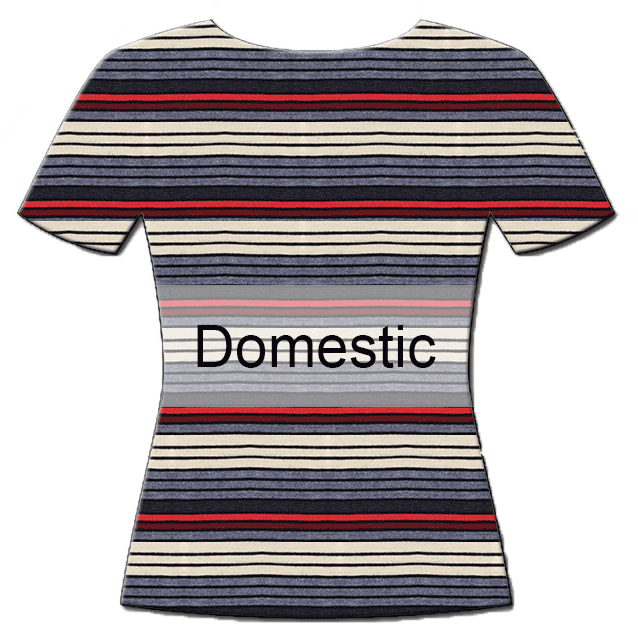 Stripes in variety of sizes and content are among the company's specialty. Aside from all of these, Richline Textiles imports wovens such as poplin and challis, even laces. Richline Textiles only works with the best and professional dyeing and finishing companies in Los Angeles, California. 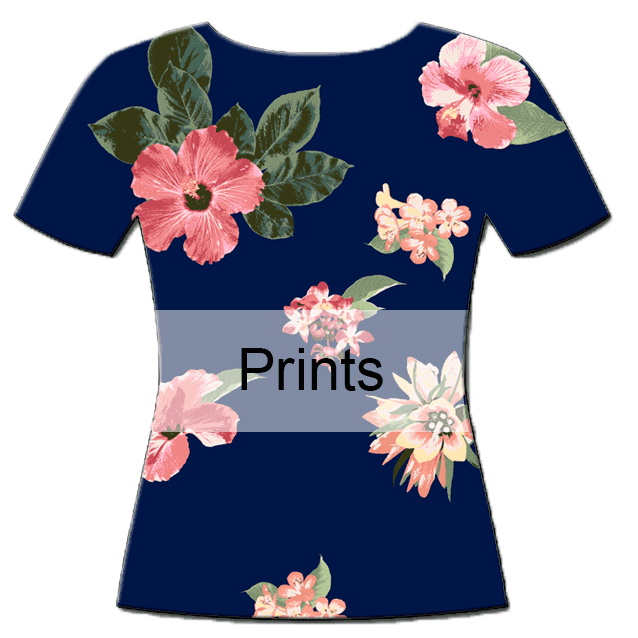 It also provides the customers the option to print on its fabric with methods such as pigment, wet, foil, burnout or wet print burnout. Richline Textiles Inc. is one of the few remaining domestic textile company in Los Angeles. Founded in the mid 1980's, the company employs dedicated and efficient staff to handle the customers orders, from samples, to production, to shipping. We invite you to experience Richline Textiles Inc. difference!